Jane Comerford's "A History of Northwest Portland" shows and tells what it was really like in the early days of Stumptown. There’s more to Northwest Portland than just parking debates concerning 23rd Street and the swanky stores and restaurants that draw people from all over the region to the narrow tree-lined streets of the Northwest quadrant. 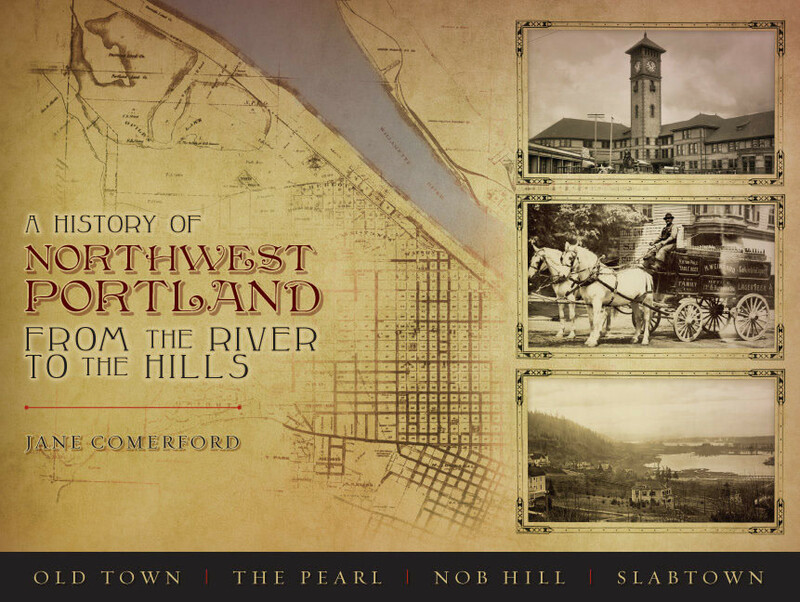 Local author (and Portland native) Jane Comerford’s recent book, A History of Northwest Portland – From the River to the Hills brings to life what the Westside area north of Burnside was like before Williams-Sonoma, Restoration and Urban Outfitters set up shop. When the stumps of Stumptown were newly cut, what was life like here? The more than 150 historic photographs help tell the story. Graphic designer Giuseppe Lipari, a former New Yorker, designed this beautifully put together, self-published (Dragonfly Press) book that makes learning about history as easy as looking through an old family album. Comerford is a native Portander and retired Portland Community College administrator who professes to love history and research. Luckily for us, she’s been putting in her free time gathering photos and detailed but engaging stories about the part of town she and her ancestors have lived in since the 1880s (that would be her great grandfather). For her, then, the new book is a sort of family album that she's letting us all share. She began work on A History of Northwest Portland in 2007, three years after publishing her first, “At the Foot of the Mountain.” That book offered historical highlights of Manzanita, Neahkahnie and Classic Ridge from the 1880s to 1940, and did well enough that she was encouraged to tackle this more urban, closer to home topic.